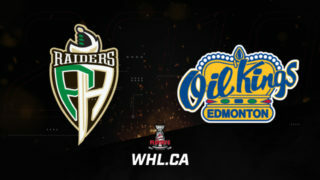 The Victoria Royals are the last team standing. 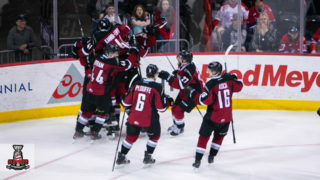 Sporting a perfect 6-0 record, the CHL’s western-most franchise is the only undefeated one remaining as the Royals are off to a tremendous start in 2018-19. 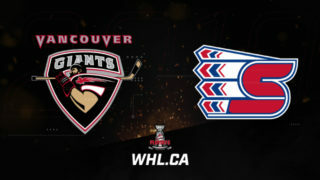 After knocking-off the Prince George Cougars and Kamloops Blazers in a pair of back-to-back sets, the Royals edged the rival Kelowna Rockets 4-3 on Friday before getting the better of Kamloops by a score of 2-1 back at home on Saturday.
.@outhouse40 stood tall against the Blazers Saturday as the @victoriaroyals became the lone perfect team in the WHL. Mirroring their 7-0 start on the Island last season, the Royals are hopeful that they’ll be able to surpass the franchise’s high watermark of the second round, reached last spring for the fourth time. 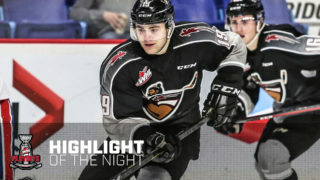 Victoria’s hot start has the town talking, reminiscing on the club’s 2015-16 accomplishment of posting the best regular season record in the WHL. Veterans Scott Walford, Dante Hannoun, Griffen Outhouse and Ralph Jarratt are the only remaining names from that team. “This is a new group from 2016, and we want to write our own story,” Jarratt told Cleve Dheensaw of the Victoria Times Colonist. Hannoun currently leads the club in scoring with seven points (4-3–7), but the success has largely come by committee as Kaid Oliver (4-2–6), Dino Kambeitz (2-4–6) and WHL pre-season scoring leader D-Jay Jerome (3-2–5) have also contributed. The success has come despite the Royals featuring seven rookies in their lineup behind the leadership of overagers Hannoun, Ralph and fourth-year netminder Griffen Outhouse. 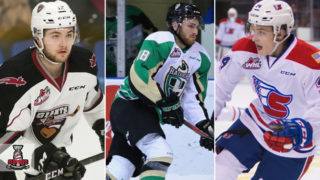 The team has landed on its feed out of the gate, moving on following the graduation of long-time offensive catalysts in Calgary Flames prospect Matthew Phillips and five-year veteran Tyler Soy along with mid-season addition Tanner Kaspick. The Royals came together prior to the start of the season, doing some team-building exercises at Canadian Forces Base Esquimalt. The trip included military exercises requiring the players to use real C-8’s filled with simulation – fake ammunition similar to those used in paint ball guns. 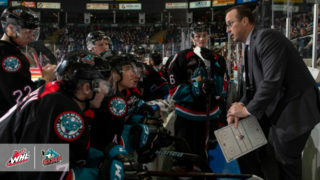 Jarratt saw comparisons between the teamwork executed in military exercises and bringing a new group of players together ahead of a 68-game season. On the heels of their BC interior road trip to Kelowna and Kamloops last weekend, the Royals return home for a six-game homestead that features opponents in Vancouver (2), Swift Current, Kelowna (2) and Brandon. It’s early, but despite being branded as a re-building team by many over the off-season, the Royals remain optimistic that they’ll be in the thick of things down the stretch.